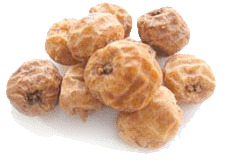 Category Archives: "Tigernuts Traders (Spain)"
TIGERNUTS TRADERS is wordwide leader in export of Tiger Nuts (spanish: chufas) and it's derivatesThe qualities of our human team and our personalised treatment allow us to offer you the best tigernuts or derivatives at any time of the year. Your satisfaction is our satisfaction. In this blog we want to share with you news related to tigernuts and the horchata. We hope you enjoy it.Don't hesitate to contact us for any information you would like to have. We will be happy to receive and answer your email.